(Inside Science) -- Every time you brush your hair, hundreds of trillions of electrons jump from your hair onto the brush. These particles are so small and sensitive that it is almost impossible to handle them individually, but a group of scientists from Canada have figured out a way to do it using an atomic force microscope. 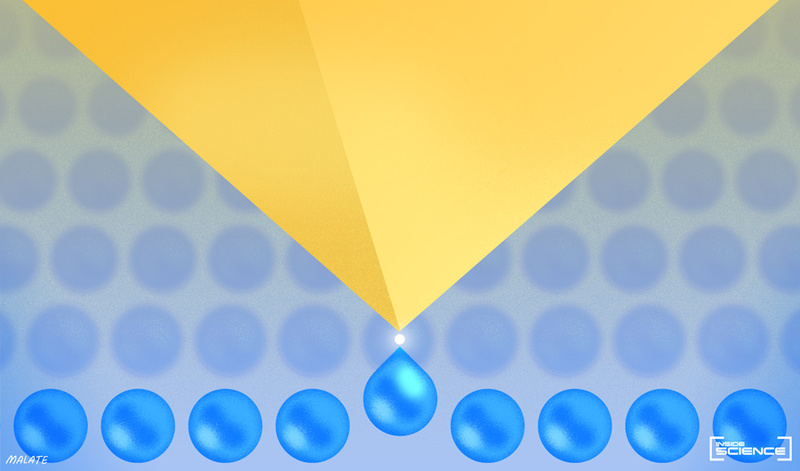 This newfound approach to manipulating individual electrons may one day find applications in future nanoscale electronics. But even such a super sharp tip is still way too big to move an electron directly -- it would be like trying to scoot around a speck of dust using the top of the Washington Monument. So, instead of trying to perform the task directly, the scientists brought the tip within a nanometer of a silicon atom, close enough for Van der Waals forces -- a kind of weak, short-range electrostatic interaction -- to change the orientation of the silicon atom. This is more like using the Washington Monument to tip over a teacup -- still difficult, but possible.